Product prices and availability are accurate as of 2019-04-16 00:49:53 EDT and are subject to change. Any price and availability information displayed on http://www.amazon.com/ at the time of purchase will apply to the purchase of this product. 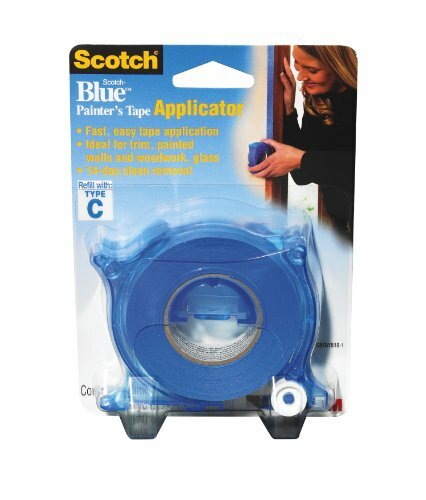 ScotchBlue Tape Applicator SBTA15101, 1-Inch by 30 yd (25,4 mm x 27,4 m). The ScotchBlue Painter's Tape Applicator makes quick work of masking trim and woodwork for all kinds of painting jobs, large and small. This unique and inventive applicator comes pre-loaded with ScotchBlue Painter's Tape Original Multi-Surface 2090. In one quick easy step, it lays a strip of 1 inch painter's tape flush against the surface to save time on virtually any painting project. 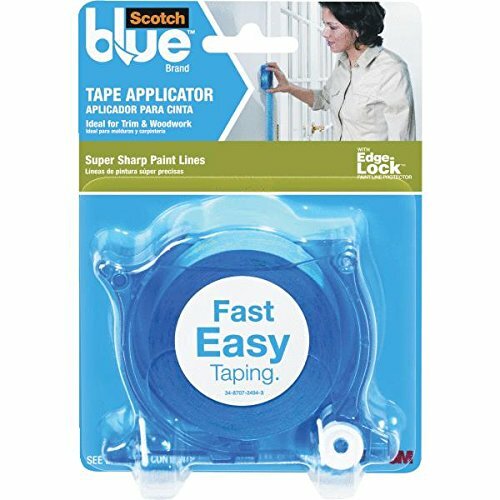 Even though ScotchBlue Painter's Tapes work great right off the roll, this simple tool can add a sense of ease and efficiency to the job. The 3M 1-inch-by-30-yard ScotchBlue Tape Applicator easily applies masking tape to moldings and walls to protect them from paint drip and splatters. This applicator's contoured design allows fast tape application for a variety of surfaces, including trim, painted walls, glass, and woodwork. This tool allows painters of all skill levels the ability to mask trim and woodwork quickly and precisely. 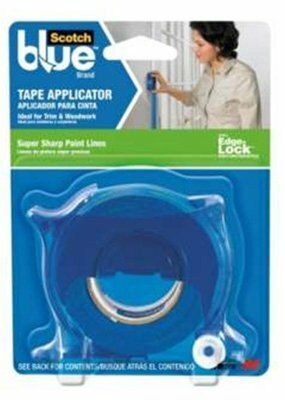 Made of clear, plastic housing, this tape applicator comes pre-loaded with a 30-yard, 1-inch roll of ScotchBlue Painter's tape, which can remain on surfaces up to 14 days for clean removal.